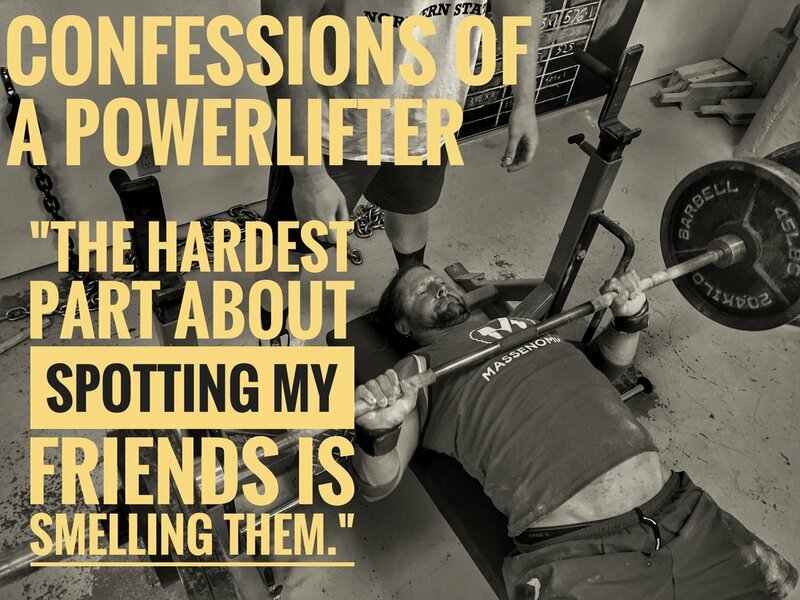 Did you ever want to know what is really going through the mind of a powerlifter? Neither did we, but they still told us anyways. See what really makes these red meat-eating, heavy weight-moving gorillas tick. Would it kill him to wash that shirt every couple of weeks? Poop... a lot of poop. More, I always want more.. It adds ten pounds to your squat. There isn't much skin left on my knees..
Do you have any idea how far down that is? 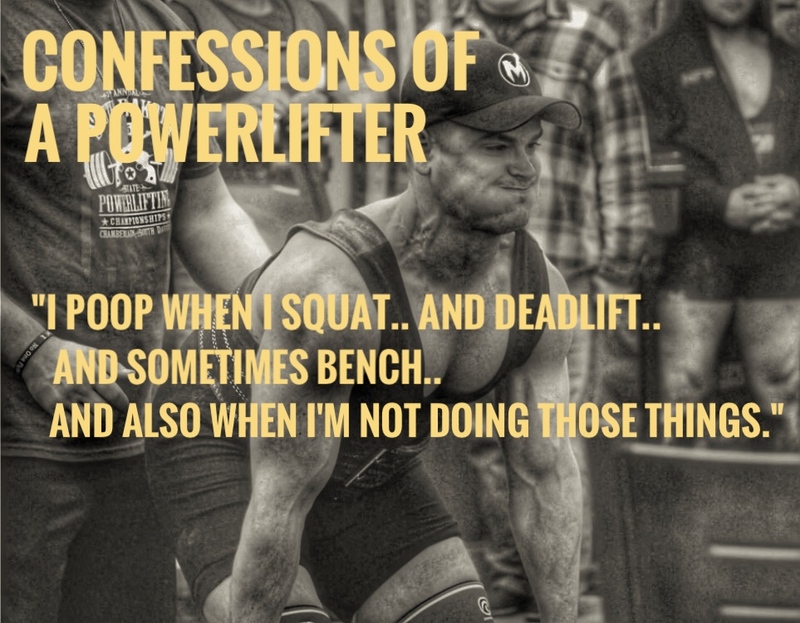 How did you like these powerlifter confessions? What other ones can you think of? Drop us a comment on here, Facebook, Instagram, or sign up for our newsletter at the bottom of the page. Give our weekly podcast a listen. One last confession: it is in your best interest to check out our apparel. 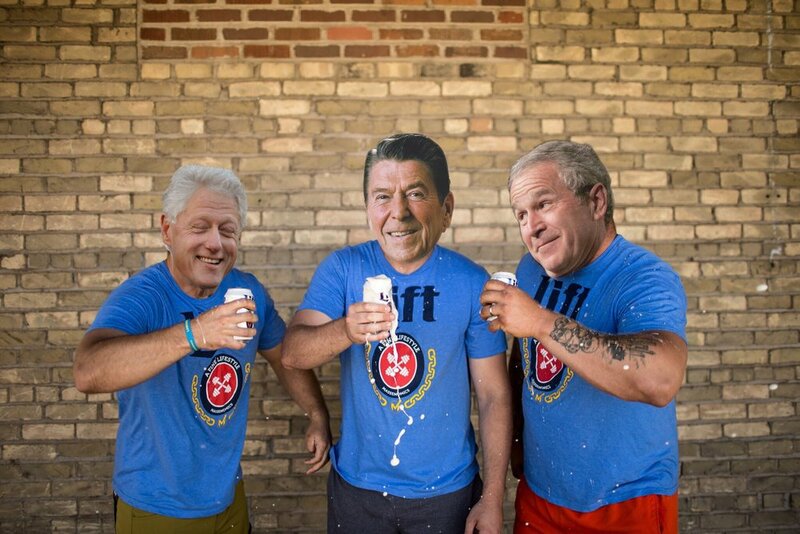 Click on this picture of Bill, Ronald, and George. They know good shirts when they see em'.